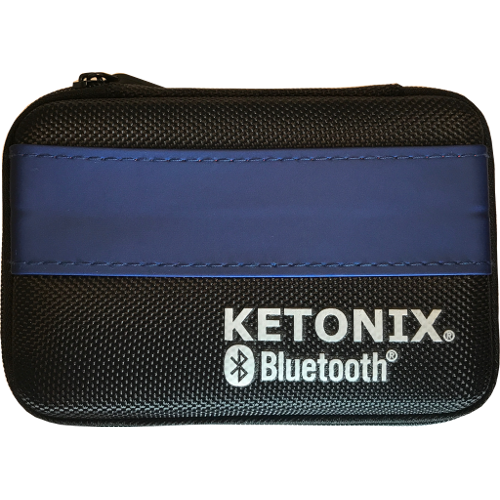 NB: You do not need a "KETONIX® LINK" if you buy this model. Note: Current software is only available for macOS desktop app, mobile devices like smartphones and tablets running iOS or Android supporting Bluetooth 4.0 LE. 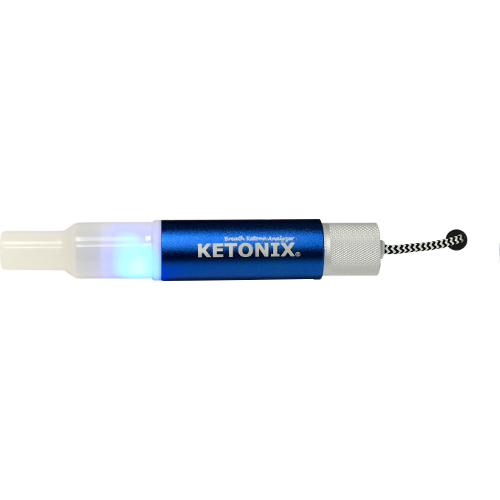 The measuring unit is in PPM, do not compare this to the earlier KETONIX® models 2015 Blue and Red units. 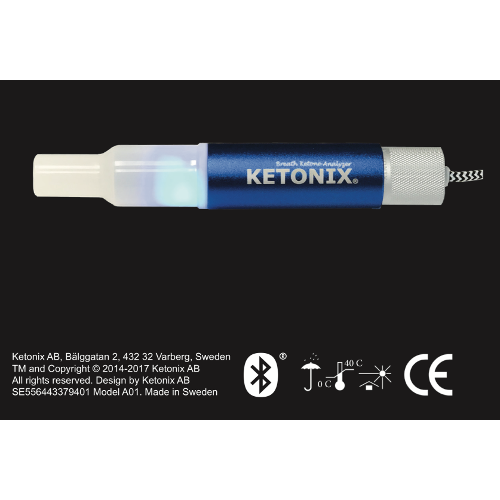 This Ketonix model automatically calibrates itself, there is no need for user calibration. Powered by a USB port 5V 1A, USB charger(not included) 5V or a 5V battery with USB port. The included USB cable is only used for power, not communication. Application indicating acetone in PPM. Self calibration. This device calibrates itself, there is no need for user initiated calibration. Clients are at the moment available for macOS, iOS and Android. A Windows version is being developed. 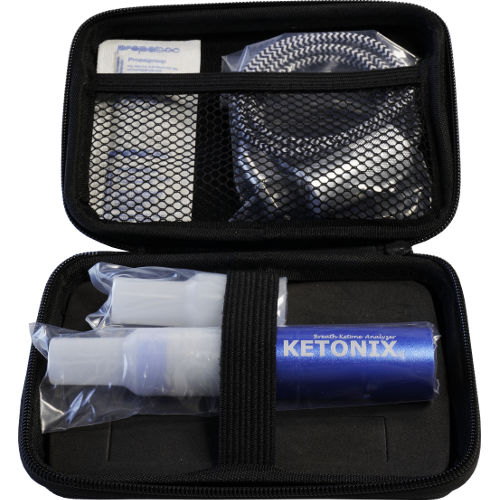 Record breath ketones locally on your mobile device smartphone/tablet and/or to an online account (www.ketonix.com). The USB cable is detachable and the battery can be inserted direct to enable mobile measures. Weight: 40 gr (total weight 200 gr).